We Filipinos value the day November 1, simply because this is the day that we honor and remember our dear loved ones who passed away. Most Filipinos spend their holiday (November 1, 2011) at the cemetery to visit their late loved ones; while some, spend it at tourist spots in and out of the country. But as for me and my family, we usually spend it at home--to relax and offer our late loved ones a prayer, as part of the All Saints Day. Since Mommy's family were all from Camarines Sur, our late Lolo, Lolo Gerry (Lolo's brother), Manay (Mommy's eldest sister and the eldest among 9) and other members of the family were all at a cemetery in the province. Ever since I was a kid, we usually spend November 1 at home. Maybe because back then, my family did not lose a family member, that's why we never visited any. Maybe my parents had visited our late family members during those times (we had lost a cousin pala before, but I was very young pa that time), but without us. I have never... Ever... Experienced the pain of losing someone very special in my life, until two years ago. That's when Mom broke the news that my ever dearest grandpa (Mom's dad) passed away because of a heart attack. That was the first time I've ever received such horrible news like that. So we immediately went to the province. It was October then. That was the first time that I had to actually witness a relative being buried six feet under the ground. First time I've ever felt that never-ending pain and tears coming out of my eyes. The first time... I actually saw my Lola cry. The story doesn't end there. Just after a week or so, Lolo Gerry then followed. Another loss in the family. We were already on our way home from Camarines Sur when we were told about it. We were not surprised though, since Lolo Gerry has been saying that he wants to be with my Lolo right away... and it did happen. Some said they heard Lolo Gerry whisper to my Lolo who was lying in the coffin the words, "susunod ako sayo....". After Lolo was buried, Lolo Gerry wasn't eating anymore. After a few days, sumunod na nga siya kay Lolo. Although most of the family were not shocked about it, of course, nakakalungkot pa rin isipin na dalawa na silang nawala. After less than a year, Manay then followed Lolo and Lolo Gerry. Mom was the only one who went to the province from our family here in Cavite. The last time I went to a cemetery was like, 2 years ago. That was, mid-October, I think? So technically, I have never visited a relative on November 1. Even so, I do offer a prayer to them, just to remember how good they have been while they were still alive. I downloaded this movie because it was included in the romance/chick flick genre. I never thought this movie would be..... My sister and I felt like we were watching something we really shouldn't watch. Haha. Oh well. Never mind. :)) To kids, do not watch this. To teens, do not watch this.... if your parents are beside you. LOL, kidding aside. Well, I downloaded this movie because of the title. I thought, that maybe it might help me. It turned out that the movie was not how I thought it would be. Haha. Oh well, this movie's worth watching for! Especially to jerks out there, and wanna-be-jerks and douche bags... This movie's for you to watch. 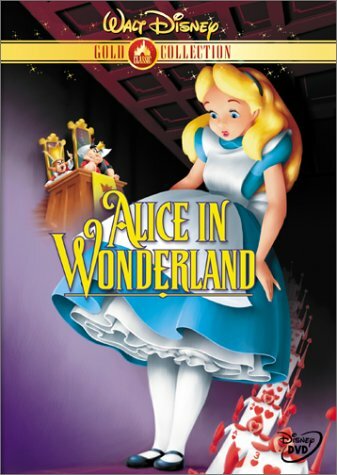 This was my first time to watch Alice in Wonderland simply because I have never liked this movie. It just doesn't make sense to me at all. The story of a brat who doesn't want to read a book just because it doesn't contain any picture at all, then suddenly falls asleep and is suddenly in a world full of wonders. Thus, Alice in Wonderland. Pfffft. 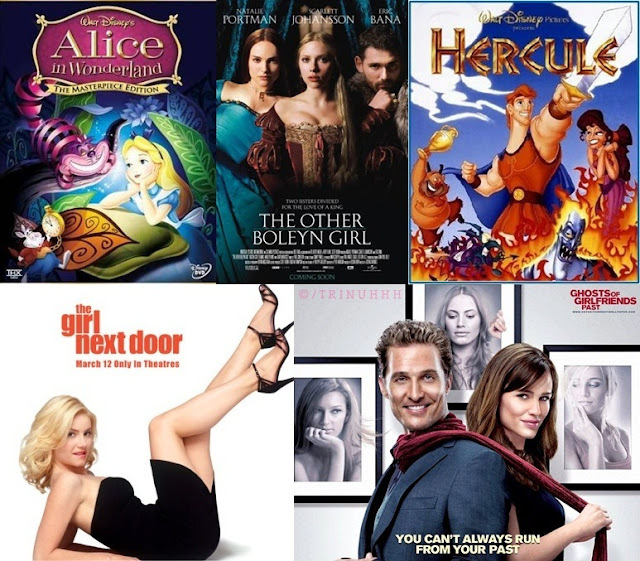 Pinanood ko lang 'to, kasi kasama siya sa 55 Disney movies na dinadownload ko pa rin hanggang ngayon. Sayang kung hindi papanoorin eh.